Tags: OS and DAW optimization, Recording and Mixing in Adobe Audition. This is an important tutorial regarding the management of DirectX plug-in in Adobe audition or Cool Edit Pro. This tutorial is tested to work on earlier versions of Adobe audition such as version 1.5. As an overview, a DirectX plug-in is an add-in for the software that will let you add new sound, mixing and mastering effects to Adobe audition which are not included as built-in tools bundled with the recording software. I believe the solution presented in this tutorial can be used to any DAW using DirectX. It is because DirectX plugins is binded directly to your OS registry (Windows for example) than to your DAW system. Before you can use any plug-in using Adobe audition, whether it is free or commercial plug-in; you need to add and activate the plug-in. Just to name a few. DirectX plug-in are third party plug-in in Adobe Audition because if you are NOT going to add and install them, it will not be available in Adobe Audition. 2.) Load any sample wav track in editor view. 3.) Go to Effects – Direct X. 4.) You can then see the list of your available DirectX plug-in. 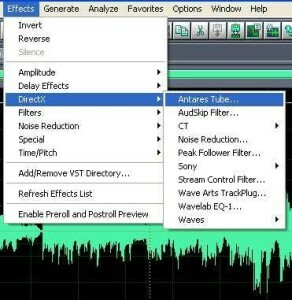 OK, so how you are going to add a DirectX plug-in to your existing set of tools available in Adobe audition? 1.) Download the plug-in. You can obtain your favorite DirectX plug-in from reputable software publisher. 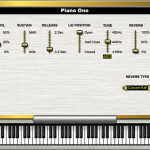 For example, you will download L2 wave’s compressor plug-in. You can also use free DirectX plugins although I recommend that you should double check the source to make sure it is legitimate. You can do that by searching in Bing for “free directx plug-in” although you should be careful you are NOT installing a virus or a malware. Double check if the software publisher can be trusted as well as scanning all files before installing in your Windows. You can also double check with the software publisher to make sure you are downloading a Microsoft compatible directx plug-in as well as a plug-in that will be compatible with Adobe Audition. 2.) After downloading, you need to install the plug-in your Windows operating system. 3.) You then need to launch your Adobe audition. 4.) Go to Effects – refresh effects lists. 5.) After refreshing, you should be able to see your effects listed under DirectX. Other easy ways of installing the plug-in is for you to install separate DAW, for example I got my Sony sets of DirectX plug-ins (wave hammer and Express FX) from an installation of Sony Sound forge in my Windows operating system. After complete installation of Sound forge, I then refresh the effects lists in Adobe Audition and there; the Sony sets of plug-in are also added “automatically” in Adobe Audition. You can do the same with your other DAW; I do not know if other DAW offers it own sets of plug-in like the Sony wave hammer and Express FX plug-ins.